As a fan of both classic tailoring and custom motorcycles, I often found it difficult to reconcile these two apparently disparate stylistic ideals. After all, the traditional view of the motorcyclist is generally of a individual whose approach to their attire is rather more “relaxed”, and whose grooming routine extends to using Swarfega to clean the engine grease from under their nails. However, this somewhat narrow view of the motorcyclist is under siege by the rather fabulous Distinguished Gentleman’s Ride. 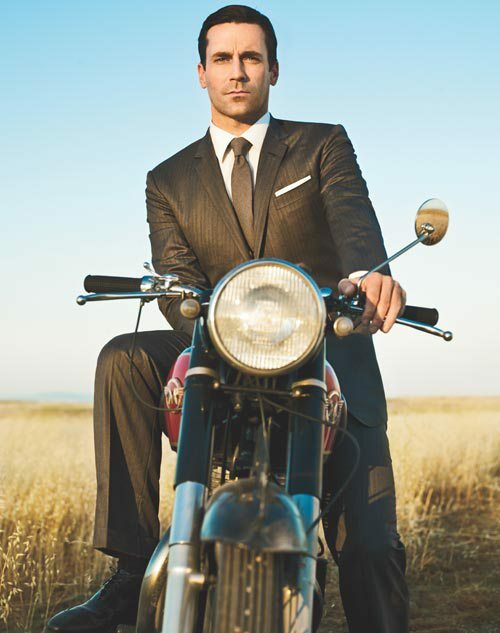 Inspired by a picture of the dapper Mad Men’s Don Draper suited and booted astride a vintage Matchless motorcycle, this annual gathering of sartorial ‘cyclists is now in its third year and this year saw twenty-thousand motorcyclists in more than 57 countries join together on over 250 rides to raise money and greater awareness for prostate cancer. 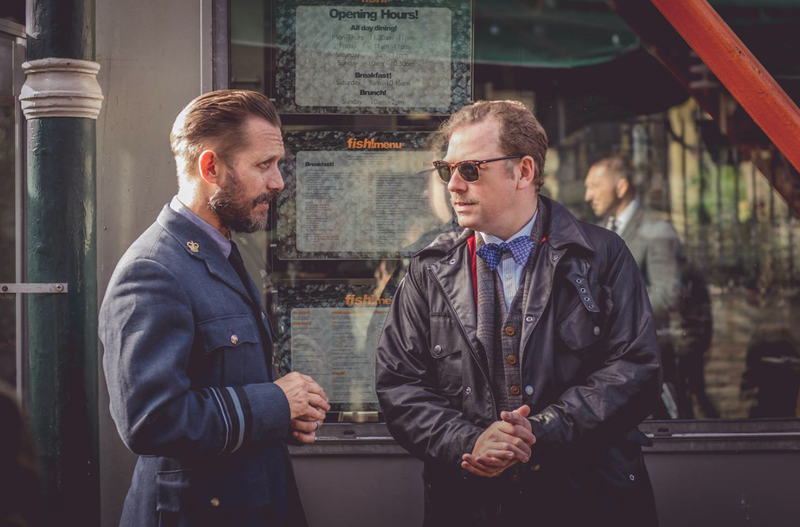 This year in London alone The Distinguished Gentleman’s Ride raised over £270,000 with 80% going to Europe beneficiary ProstateCancerUK.org and worldwide the DGR has raised more than $1.6 million. 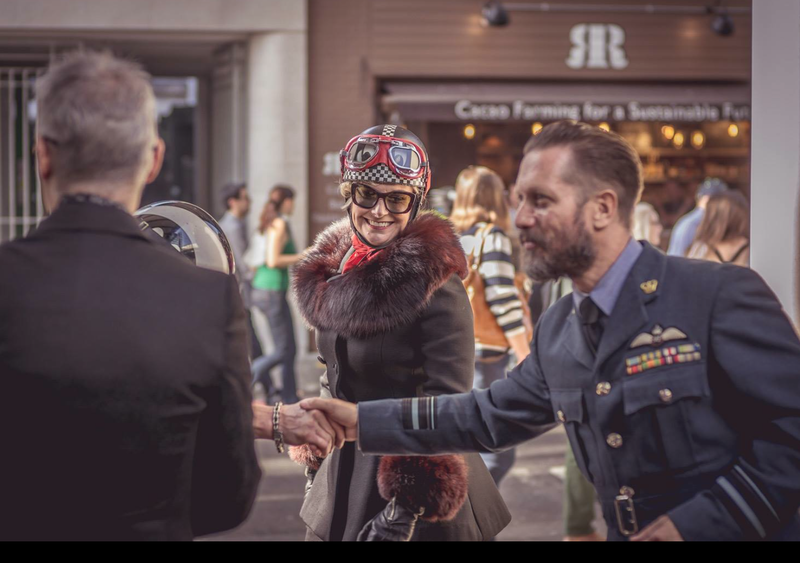 However, before I go on about beautiful bikes and waxed whiskers, I think it would be worthwhile to mention just why it is that these men and women are riding out on two wheels, dressed to the nines. Nobody likes to talk about cancer very much, and men are notoriously stubborn when it comes to visiting the doctor’s office. However, the fact remains that prostate cancer is the second most common cause of cancer death in men in the UK and the US after lung cancer. It is the most common cause of cancer in men in the United States and in the UK – more than 40,000 men are diagnosed with prostate cancer every year in the UK. Whilst we know that a man’s risk of being diagnosed with the disease increases with age, nine out of 10 prostate cancer cases in the UK are diagnosed in men aged 60 and over, with incidence rates peaking in men aged 75-79. It is estimated more than 307,000 men die every year from this disease worldwide. Despite this, many men are unaware of the risks prostate cancer presents. 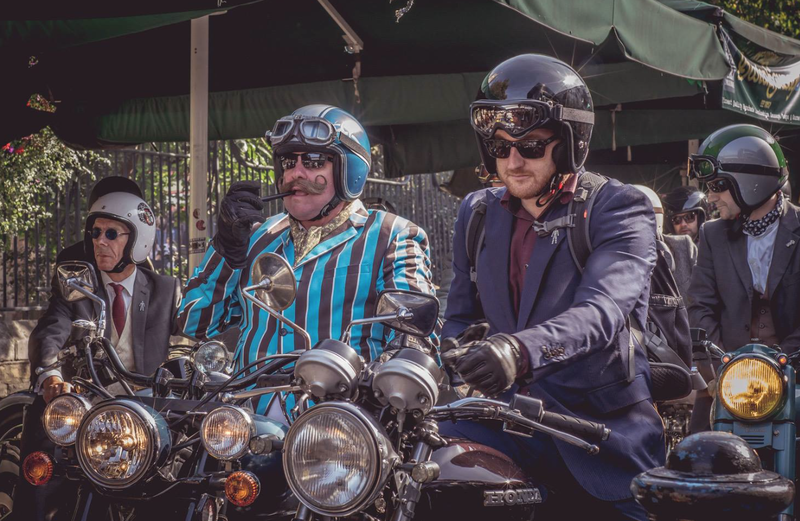 So, not only are the participants in The Distinguished Gentleman’s Ride destroying the myth that all bikers are leather-clad louts, but by raising awareness for such a worthy cause they are also demonstrating that the idea that bikers are anti-social misfits is entirely unfounded. 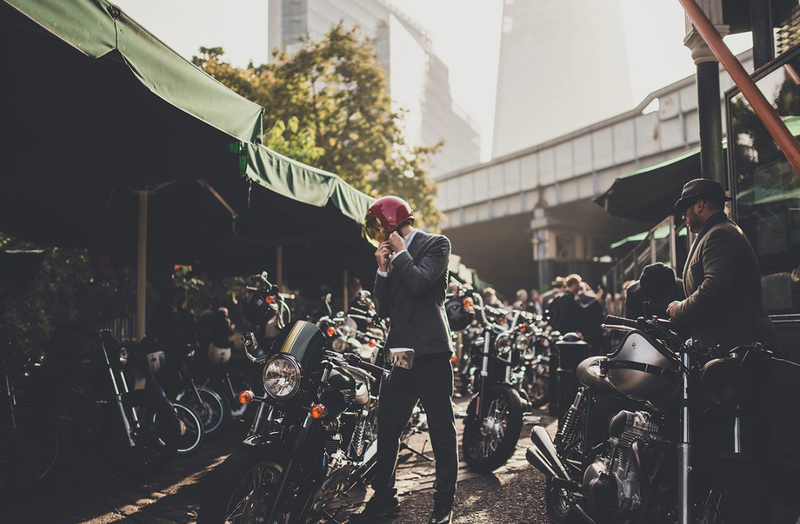 Last week London’s ride, hosted by The Bike Shed MC, saw over 600 elegantly attired individuals set off from Borough Market. Not only were these riders well-dressed, but their machines were equally beautiful. All styles of motorcycle were in evidence, from cafe racers, bobbers, choppers, and flat trackers, to perfectly restored vintage models, and even a Morgan three-wheeler. This year the event was sponsored by Triumph motorcycles and offered an opportunity to win a beautiful Triumph Thruxton, a machine I have long since had my eye on. So, even if you are not charitably minded, there’s still a reason to get involved. 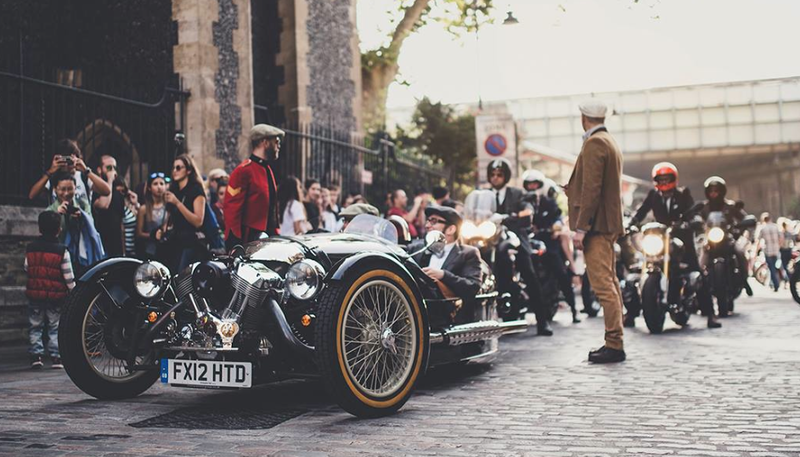 The greatest thing about The Distinguished Gentleman’s Ride is that it’s free to take part in. However, let’s not forget why the event was created in the first place. So, whilst you open up your throttles, make sure you open your pocket book, too. It is for charity, after all! As September is prostate cancer awareness month in the US, the DGR takes place in that month each year. However, it’s worth remembering that prostate cancer receives only a fraction of the funding that other comparable cancer research gets and there are significant disparities in awareness, media coverage, and research between prostate cancer and other types of cancer. 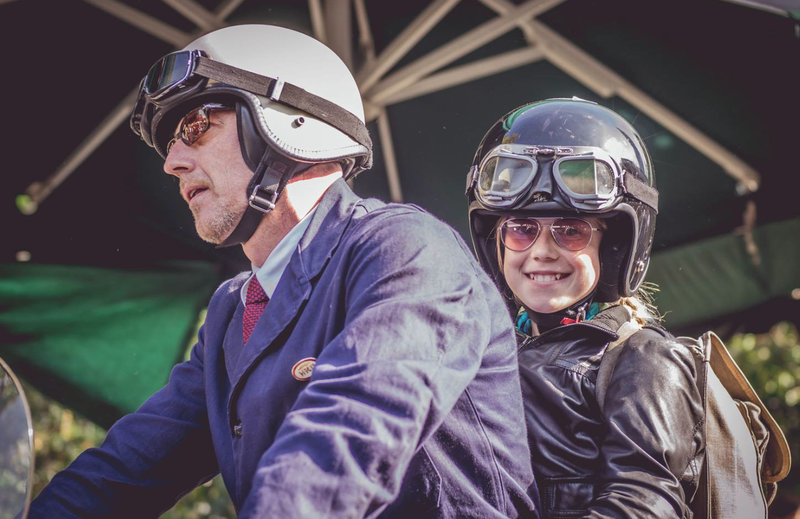 So, whilst it may not be September anymore, and the DGR is another year away, there is always a need for funding, supporting and raising awareness of this terrible disease. With thanks to ProstateCancerUK.org, The Distinguished Gentleman’s Ride, and The Bike Shed MC. Awesome photography by Amy Shore, J Anthony Packett, & Ellie Brooke. ← UREKA – The Story of a Journey That Will Keep U-Turning. This is a noble cause, and done in a classy fashion, too. Thanks for the post. Thanks for the like, my friend – and the fast response! Brilliant blog – the day was amazing, so much money raised for such a worthy cause! Agreed – brilliant photography!